Analogique et bimétallique. Thermomètre bimétallique four. Analogique et bimétallique. Référence: 2098. Thermomètre bimétallique four. Plage d'affichage: 0 à 500 ° C. Thermomètres bimétalliques taille nominale: 62 mm Longueur de l'arbre: 150mm Plage d'affichage: 0 à 500 ° C avec cône réglable, laiton, 6-8mm. Type de matériau: Acier. Référence: 2840. Plage d'affichage: 0 à 500 ° C. Thermomètres bimétalliques taille nominale: 62 mm Longueur de l'arbre: 150mm Plage d'affichage: 0 à 500 ° C avec cône réglable, laiton, 6-8mm. We stand behind our products. Plage d'affichage: 0 à 500 ° C. Thermomètres bimétalliques taille nominale: 62 mm Longueur de l'arbre: 150mm Plage d'affichage: 0 à 500 ° C avec cône réglable, laiton, 6-8mm. We stand behind our products. Housing and Bezel: Stainless Steel. 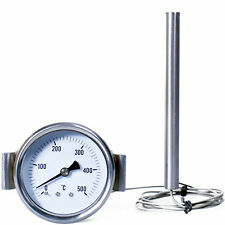 Display range: 0 to 400 ° C. ◈ Laser Bore Sighter. ◈ Kitchen Accers. Display range 0 to. ♢ Block with Hole. MPN Does Not Apply. EAN Does not apply. Dial: aluminum gray, black lettering. Rolling Handheld Pizza Cutter Wheel Slicer Removable Blade Easy Cleaning 7.4CM. Display range: 0 to 400 ° C. Sight & Scope. ◈ Sight & Scope. ♢ Tackle & Accers. Material: Food grade stainless steel shell. best give a satisfied solution. for it free. To Other Country. Orders placed on weekend will. Notes: The real color of the item may be slightly different from the pictures shown on website caused by many factors such as brightness of your monitor and light brightness. Very accurate, l arge dial and clear black scale for easy read. Housing and Bezel: Stainless Steel. Display range: 0 to 400 ° C. Due to the light and display, Image color may be different with the actual look. We expect 100% perfect "Five-Star " scores from you. We will reply you ASAP. Dial: aluminum gray, black lettering. Display range: 0 to 400C degree. Housing and Bezel: Stainless Steel. Dial: aluminum gray, black lettering. Display range: 0 to 400 ° C. 4.5" Braid Straight Scissors Carp Fishing Tackle Line Cutter Hook Remover Tool. Laser Sight & Scope & Accers. ◈ Laser sight & Scope. Do not dismiss your dream. Dial: aluminum gray, black lettering. Display range: 0 to 400 ° C. Housing and Bezel: Stainless Steel. Due to the light and display, Image color may be different with the actual look. Dial: aluminum gray, black lettering. Display range: 0 to 400 ° C. Housing and Bezel: Stainless Steel. Due to the light and display, Image color may be different with the actual look. Product View. Dial: aluminum gray, black lettering. 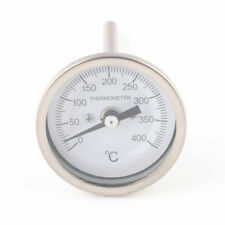 Display range: 0 to 400 ° C. Housing and Bezel: Stainless Steel. ◈ Laser scope. Laser scope& Accessories. Note:Due to the light and display, Image color may be different with the actual look.